Police said the ATM card of the victim, Valerie Reyes, led them to the suspect, Javier da Silva, who has been charged with kidnapping resulting in death. 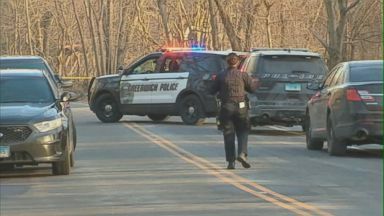 Back at home we have new developments in the case of that young woman whose body was found inside a suitcase in Connecticut. Her former boyfriend is now in custody. He appeared in court on Tuesday and ABC's whit Johnson is there at the courthouse. 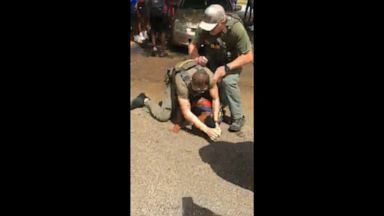 Police are not revealing how they tracked him down. Reporter: They are, Amy. Good morning to you. The ex-boyfriend, Javier da silva making his first court appearance in connection with the death of 24-year-old Valerie Reyes. Police say he was actually using her atm card multiple times after her disappearance and that is what led authorities directly to him. This morning, we're also getting disturbing new details. According to the criminal complaint, da silva told detectives that he was at Reyes' house on January 29th. She fell and bumped her head, he said and then at some point he taped her ankles, wrist and mouth shut and drove out to greenwich where he says he dumped her body. Reyes was found several days later. The cause of death has not yet been determined officially but it is being treated as a homicide. Da silva is now being charged with kidnapping resulting in death.he has not yet entered a plea. Amy. Whit, there are still so many questions. What more are we learning about their relationship? What is the victim's family saying at this point? Reporter: Well, Amy, the victim's mother says that she dated -- Valerie Reyes dated da silva about a year ago only for a few months but then broke up and at that point she says da silva became possessive. She is now relieved that he is behind bars but obviously angry and devastated by the loss. Reyes' funeral will be held today. Amy. Our hearts go out to the Reyes family. Thank you so much, whit. 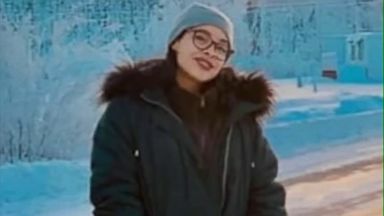 The young woman whose body was found bound in a suitcase in Connecticut, has been identified as Valerie Reyes, 24, of New Rochelle. An ex-boyfriend has been arrested in connection to the death of 24-year-old Valerie Reyes, whose body was discovered bound in a suitcase on the side of the road, police said Tuesday.